Free thinker. Socially engaged poet advocate for survivors Brenda is a well received spoken word artist, workshop facilitator and author. From Washington D.C. to Los Angeles CA and many places in between she has presented her poems at weddings, graduations, retirements, anniversaries, funerals, holidays and celebrations. A member of the National Association for Poetry Therapy and Life Member of the Kentucky State Poetry Society she continues to hone her craft. 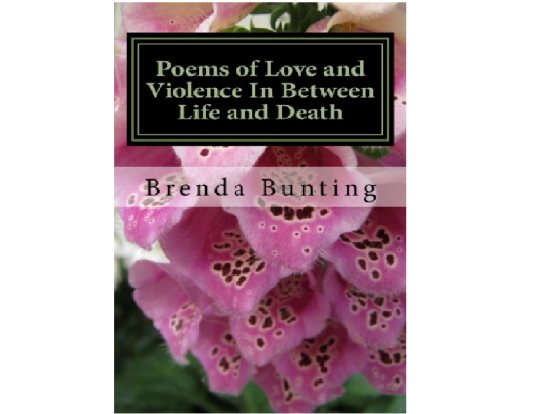 Brenda's books of poetry are available on Amazon. She has been published in anthologies, newspapers, magazine and online. 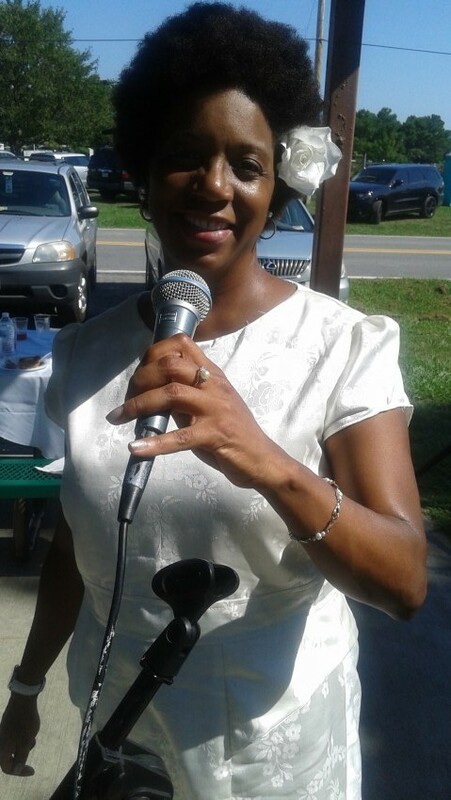 She enjoys sharing the beauty of poetry with people and groups small or large. She is working on her next book. I appreciate Brenda coming share her story through her talent of spoken word. She had great energy. Thank you so much for everything. I enjoyed working with you and know you will continue to flourish in everything that you do. Wishing you love and peace. Her book of poetry is just amazing she has crazy incredible skills as a spoken word artist see her here see her now don't miss her Brenda Bunting is incredible! 5 stars for poem, 1 star for the service. A good friend of mine needed a poem written to say to her husband for his birthday. I found ms Bunting through Gigsalad where I usually have a great experience. I paid the deposit and provided the phone number for them to talk about the work needed. At completion ms Bunting wanted them to meet to exchange payment for the work, Fair, but timing would not allow for it. Ms Bunting sent the work with her paypal information for the payment. The same evening, at 9 30pm she called my friend (mind you it is mother's day weekend) and left a note so nice message. The next day she texted her calling her "rude" and pretty much "dishonest"... again, she is home with her husband for whom we are planning the surprise. My friend called me almost in tears because she was trying to find a solution without him knowing. I am a business owner and would do things differently to ensure customer service was still the focus. I attempted to resolve it with Ms Bunting but she does not seem to think there is any my thing wrong. I confirmed with PayPal, she has been paid. I have known Ms. Bunting for several years through bible class and we developed a great relationship. I became a fan of her poetry from the first moment she recited a piece and couldn't have thought of a better way for her to be a part of my wedding than to "grace the stage" with a piece written and performed by her especially for the occassion. I had no doubt it would be moving and heart-felt. Unfortunately, I was not able to hear her read the poem aloud at the ceremony as I was waiting to enter, but she read it to me before the day and I needed not change one word! It was absolutely beautiful and attendees of the wedding echoed those sentiments! An EXCELLENT Writer / Poet! This was my first time on gigsalad and I needed an artist to be apart of my grandmother's 100th birthday celebration. I came across Brenda's profile and immediately after we spoke regarding my vision, I knew I made the right decision. Brenda created a poem that impressed everyone at the party. My grandmother was overwhelmed with the words Brenda spoke and framed the poem so beautifully to keep as a keepsake. I would definitely request Brenda again for any of my upcoming events. Brenda Bunting is an incredible writer and poet. She expresses her feeling and experiences through her poetry and tone of voice. Brenda Bunting writes from the heart and makes you see things in a different way. If you read one piece of writing, it will blown your mind away. I have been lucky enough to have read some of her work and it has been truly amazing. Ms. Bunting keep up the good work! To take an inspiring poetic journey with me that will make us think about the bigger and deeper aspects of life beside the regular routine of ordinary. To be satisfactorily entertained in a respectable fashion. Brenda Bunting is a Poet and Spoken Word Artist living in Washington D.C. She is a member of the DC Poetry Project and a Life Member of the Kentucky State Poetry Society. 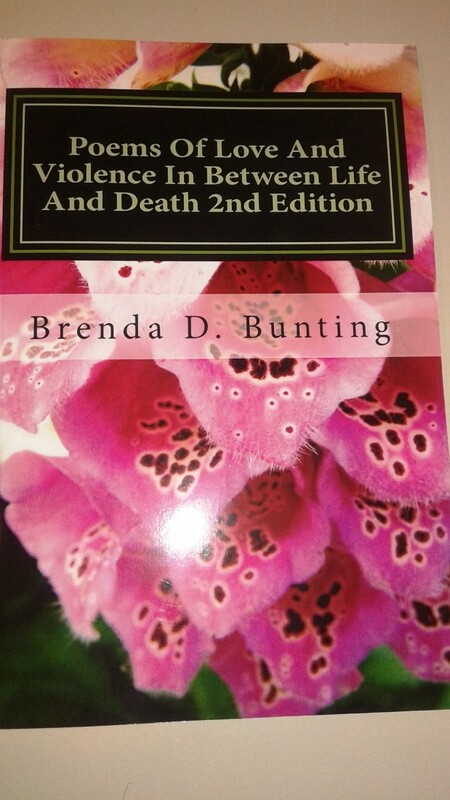 She is a socially conscious poet who has recently published her 2nd Edition of her first book of poetry, "Poems of Love and Violence in Between Life and Death" on Amazon. She also has done a number of poetry workshops as well as public and private events. This includes weddings, funerals, birthdays, featured speaker, poetry celebrations, holidays etc. Her poems are powerfully clear compelling works full of imagery and rhythm and can be crafted to suit a particular occasion. Her biographical poem is posted below.